Khobar – Over the last two weeks, a series of meetings was held at the secretariat offices of the Organization of the Petroleum Exporting Countries (OPEC). Two weeks ago, OPEC experts’ committee held meetings for two days, followed by two important meetings over the last week where OPEC’s long-term strategy was approved. The meetings ended smoothly with the agreement over the long-term strategy which has been a point of disagreement over the past two years and had been delayed due to disagreements between Saudi Arabia and Iran. However, Reuters reported sources who attended the OPEC experts’ meetings last week in Vienna, that Saudi Arabia threatened to use oil prices as a weapon against Iran, if the latter didn’t commit to the agreement. Reuters reported four sources who attended the meeting that the kingdom threatened to raise production between 11 and 12 million barrels per day (bpd) if an agreement wasn’t achieved. “The Saudis have threatened to raise their production to 11 million barrels per day and even 12 million BOPD, bringing oil prices down, and to withdraw from the meeting,” one OPEC source who attended the meeting said. The Saudi Ministry of Energy didn’t comment on the matter or issue a statement to clarify the incident. But Reuters reported, what they called, a senior Gulf OPEC source saying that Saudi Arabia did not say output will rise, rather that it “could” rise. According to a source, who spoke on condition of anonymity because he is not cleared to speak on this matter publically, all OPEC and non-OPEC do not agree with Iran since the Islamic Republic doesn’t want to cap its production near current levels, including Iraq. 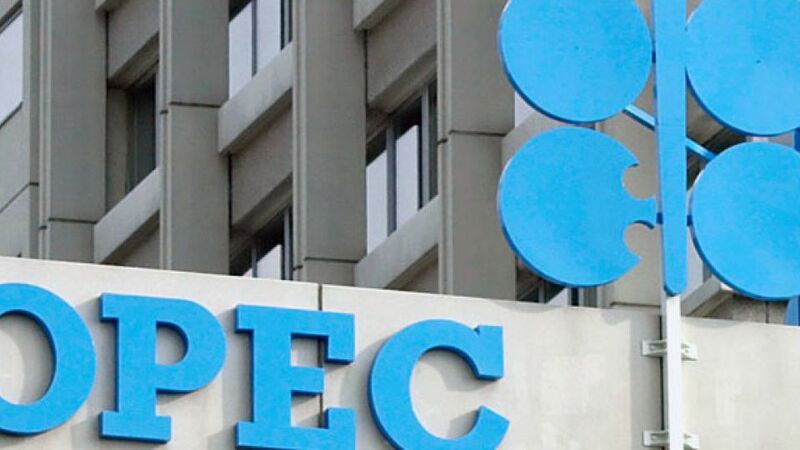 OPEC sources, some of whom attended the OPEC meetings and others who were aware of its proceedings, told Asharq Al-Awsat newspaper that the meetings were not to discuss policies but rather to discuss suggestions. According to a source, Saudi Arabia didn’t threaten Iran. He added that Saudi OPEC delegation asked to call off the next day’s meeting with non-OPEC producers as they didn’t see any use for it, since OPEC producers are not agreeing on decreasing or freezing oil production. No one knows how the meetings ended, but what is sure is that all the meetings ended without any tension especially that non-OPEC members said they were positive meetings. Brazilian delegate told the reporters that he still hoped for a deal in November. “People can look at it from different angles. The fact that discussions are still going on is a positive one. They are going to work on it, close to the ministers’ meeting,” the delegate said. Despite all the rumors, OPEC Secretary-General Mohammed Barkindo told Bloomberg that the kingdom didn’t make the threat, denying Reuters’ news. Barkindo has said he is “optimistic” a final agreement will be reached. Tensions eased between the two countries since the appointment of Khalid al-Falih as energy minister in May this year. In addition, Saudi Arabia agreed on the Algeria meeting to cut down oil outputs. Reuters also reported that Saudi OPEC delegation told their Iranian counterparts that Tehran should freeze output at 3.66 million bpd – the latest estimates of Iranian output by OPEC experts, known as secondary sources. Iran has reported its output at 3.85 million bpd in September and said it would only cap its output at 12.7 percent of OPEC’s total ceiling – or 4.2 million bpd. According to OPEC sources, Iran’s counter-argument at the meeting was that Saudi Arabia has raised its output by almost 1 million bpd since 2014, and is now trying to convince others it would cut output by 400,000 bpd to get a deal, though in reality Riyadh has already won extra production and revenue. Due to news of tensions between Saudi Arabia and Iran, and whether they were true or not, the market was affected. Oil prices fell on Friday. Brent crude LCOc1 was down 77 cents at $45.58 a barrel.